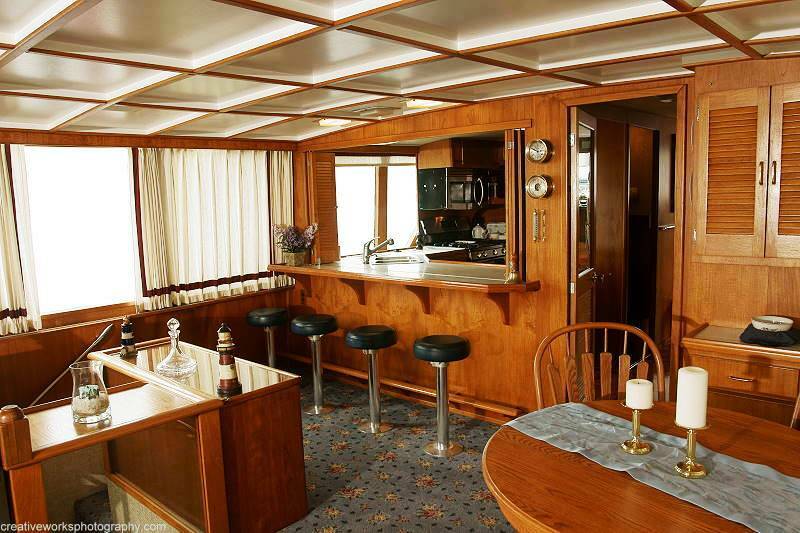 The 83ft motor yacht MORNING MIST is a 25.30m (83’) Derecktor charter yacht built in 1976 that was completely refurbished and upgraded in 2003. 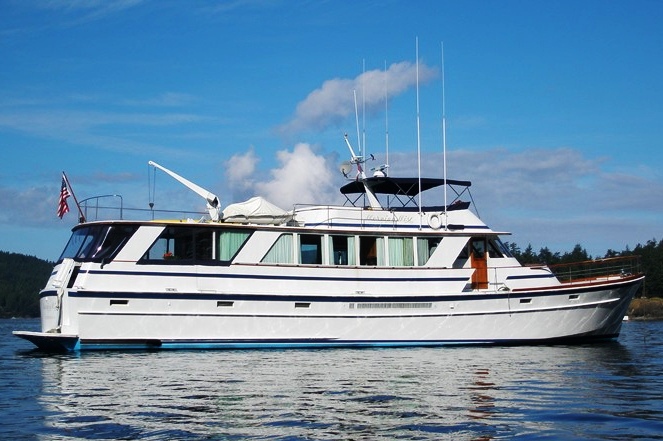 The charter 83ft charter yacht MORNING MIST is a private charter yacht, that is well designed and maintained. 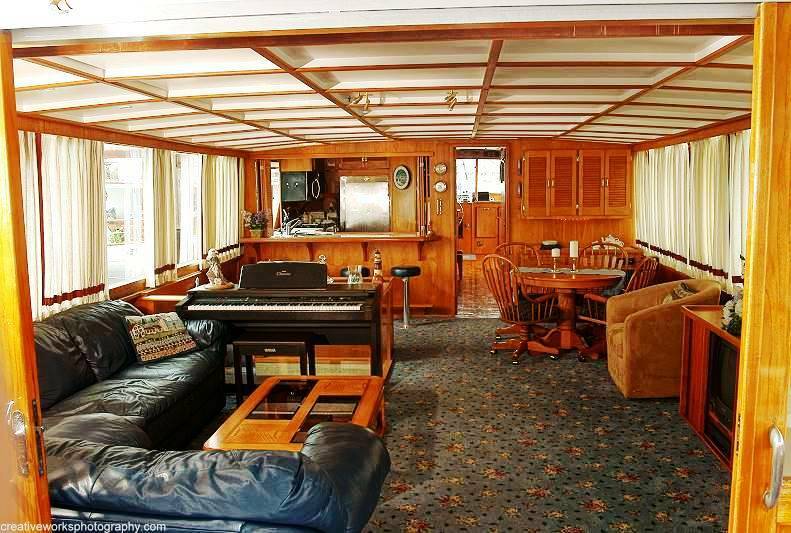 The yachts main salon provides plenty of Seating on sofas and chairs and large window provide plenty of natural light. 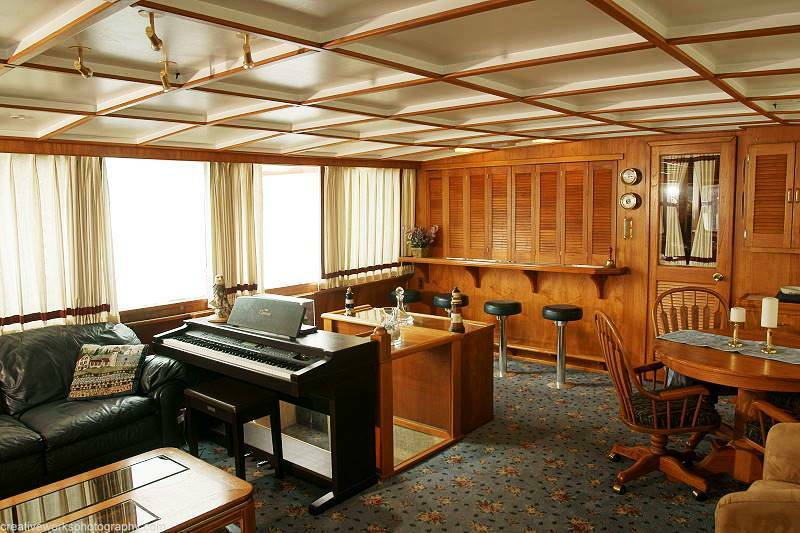 There is a TV/DVD, Karaoke Machine and Digital Piano for entertainment. 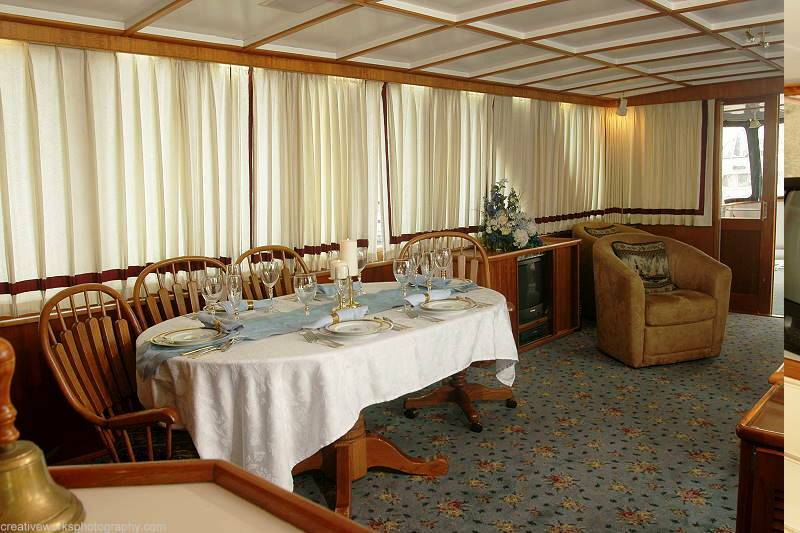 The motor yacht MORNING MIST can accommodate up to 6 guests in 3 cabins. 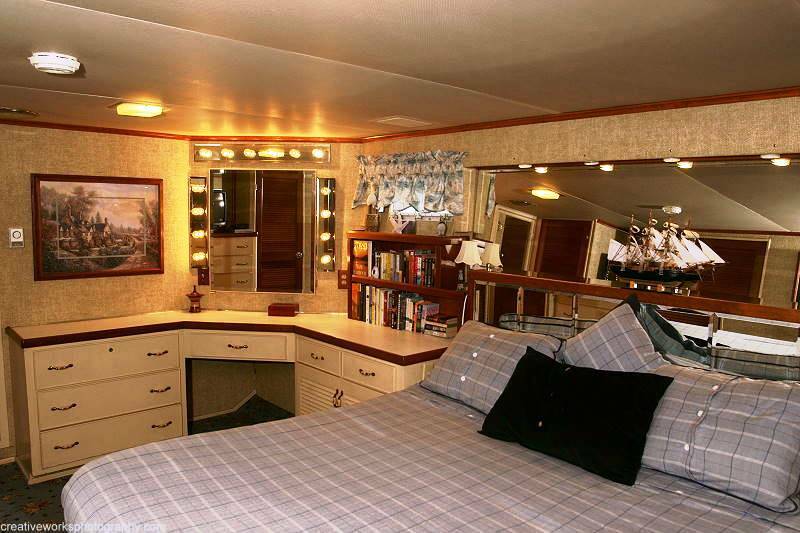 The Owner's Master Suite features a King sized bed, a Private bathroom with tub and shower, a Writing or Makeup Desk and a large closet area. 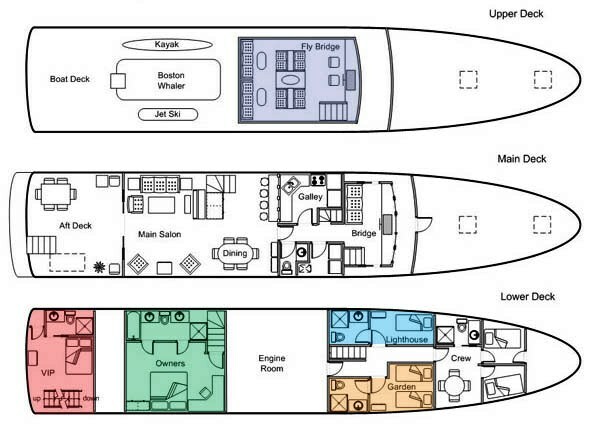 The VIP Stateroom features a double bed and a private bathroom with shower. 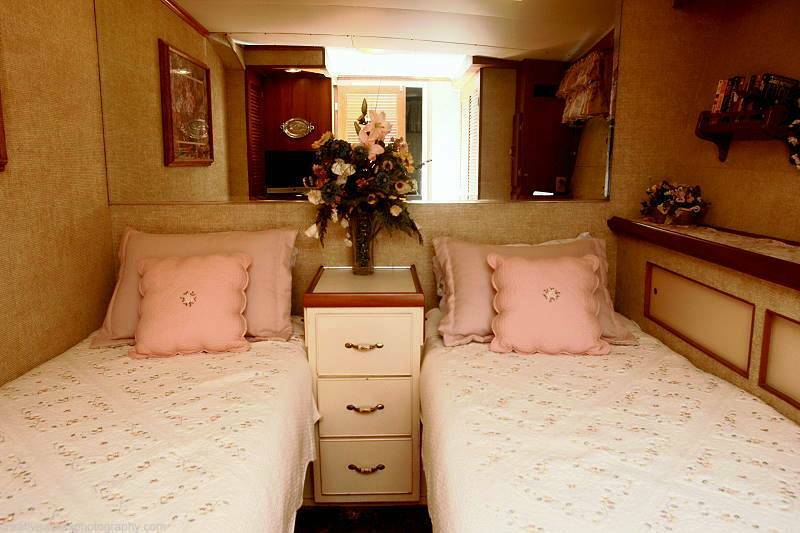 The Garden Stateroom has 2 Lower twin beds, a Private bath with shower. 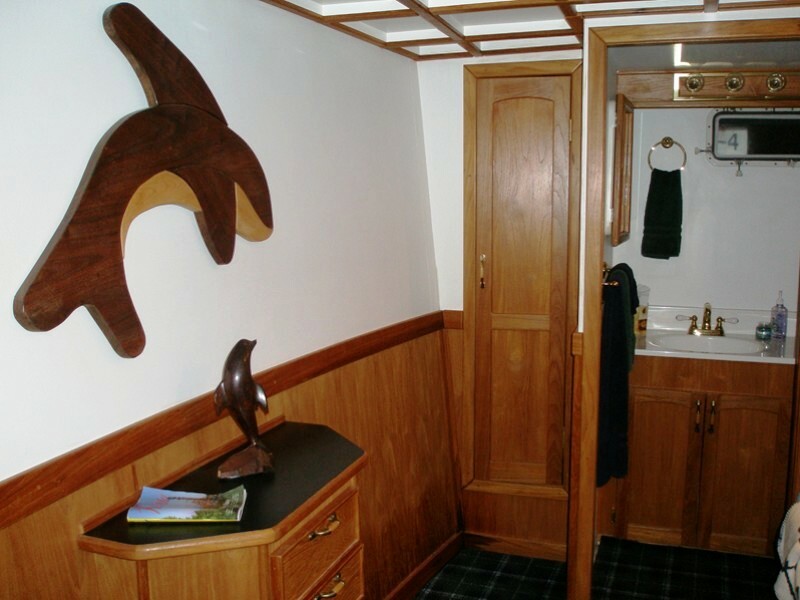 The Lighthouse Stateroom has one single bed with a private bath with shower. 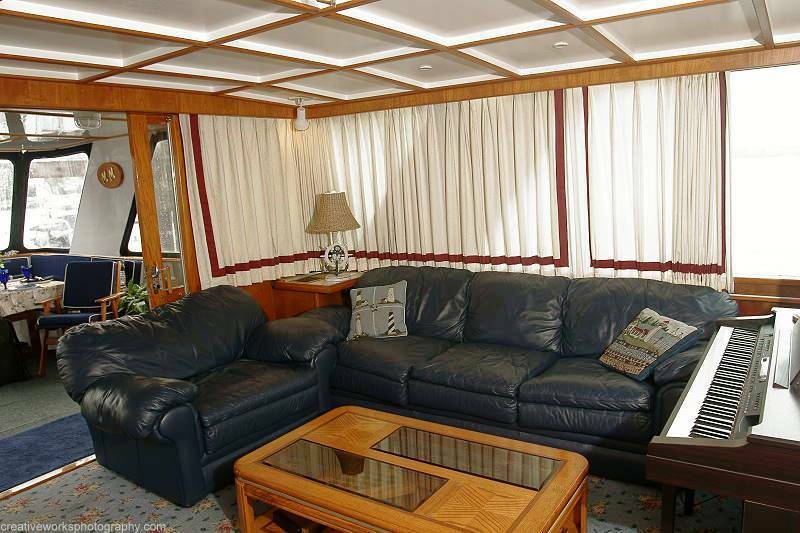 All cabins have individually controlled AC and Heat, a TV, Clock/Radio and a Phone. 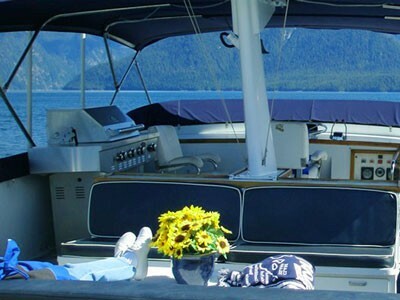 The Derecktor motor yacht MORNING MIST also features a casual eating area for up to 8 guests on the aft deck and a BBQ, Lounging area, on the top deck where the 15’ Boston Whaler, Wave runner and 2 person Kayak are stored. 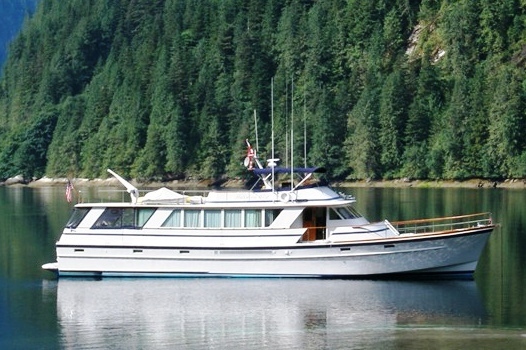 The motor yacht MORNING MIST cruises from the San Francisco Bay on seven day charters. Guests will be pampered from the moment they step on board from the Welcome aboard Party to the Captain’s Farewell Dinner on the last evening of the cruise. The crew of 3 including your personal chef are prepared to pamper you and treat you to high quality cuisine and tantalizing desserts. 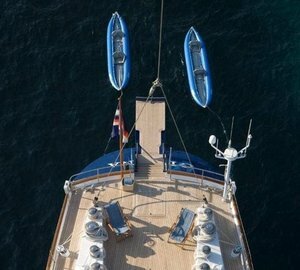 Don’t miss the opportunity to take the vacation of a lifetime aboard the charter yacht MORNING MIST. Some experiences in life are brief, but provide lasting enjoyment. 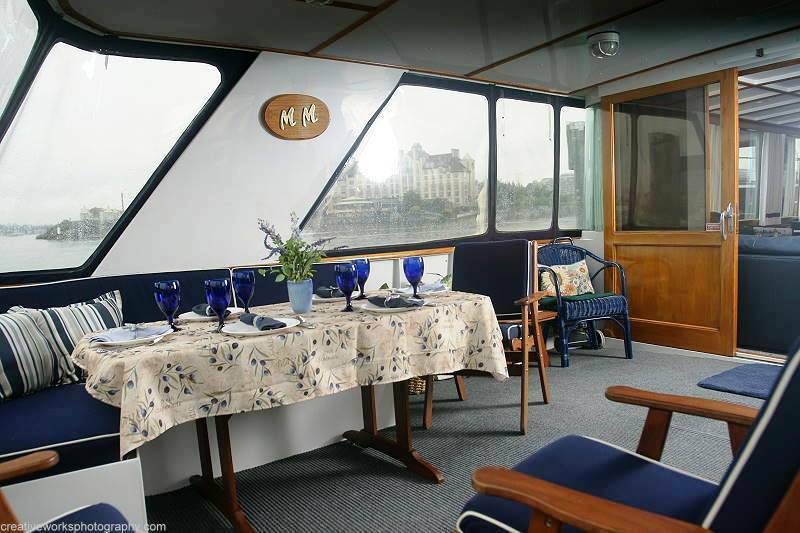 Let M/Y MORNING MIST provide you the opportunity to make one of those lasting experiences. 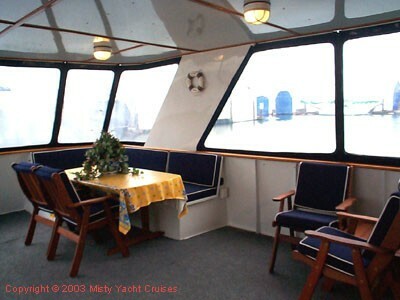 The “Morning Mist” docks in downtown San Francisco where you can enjoy world class shopping and nightlife. Sailing under the Golden Gate Bridge for a marvelous photo op. 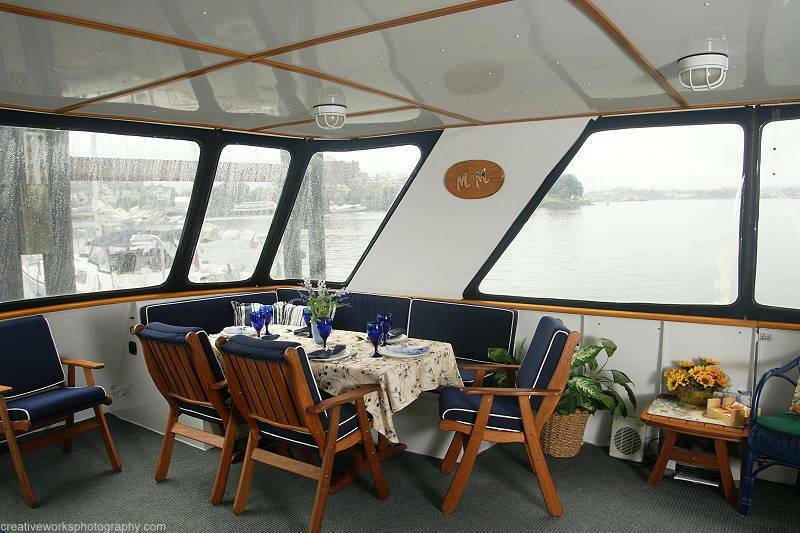 Sail up the Napa River through the world famous Napa Vineyards. Enjoy wine tasting tours of the Napa area vineyards. Overnight just a few miles from the town of Napa. 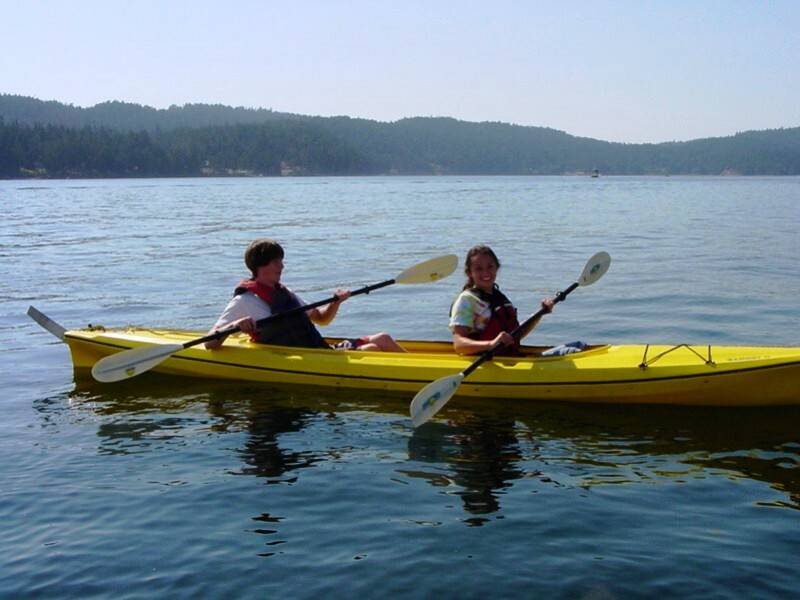 Sail up the Sacramento River into the Sacramento Delta and visit quaint river towns. 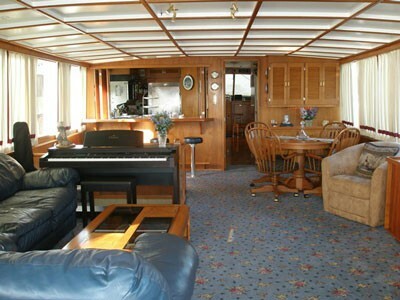 Each cruise begins with a Welcome Aboard Dinner Party and ends with a Farewell Dinner on Friday Evening. Transfers to and from San Jose or San Francisco Airports are complementary. 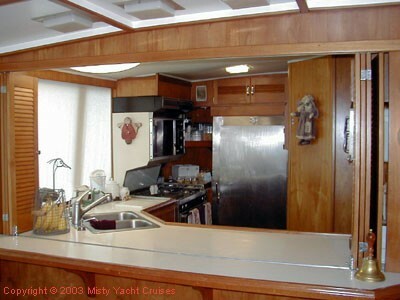 MORNING MIST can accommodate 6 guests in 4 staterooms, all with ensuite bathrooms: The MASTER cabin has a King bed. The VIP has a Queen bed. 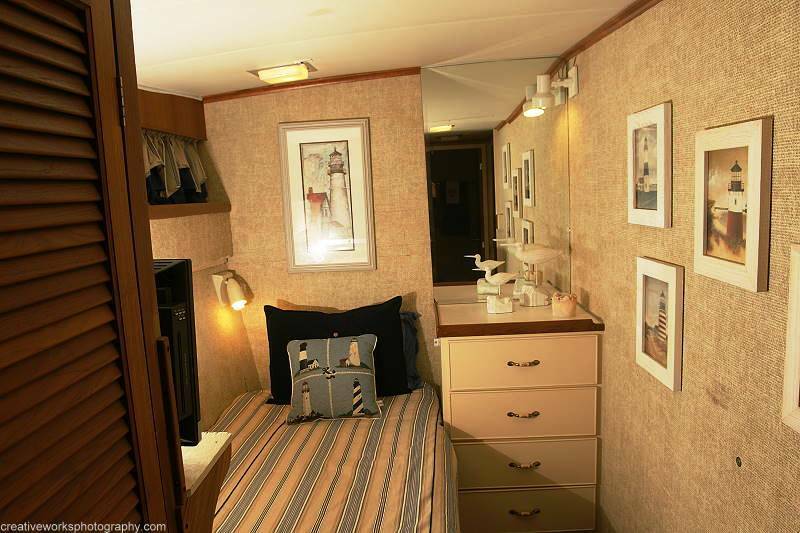 The Twin cabin has 2 single beds and the Single cabin has 1 large single / small double bed. 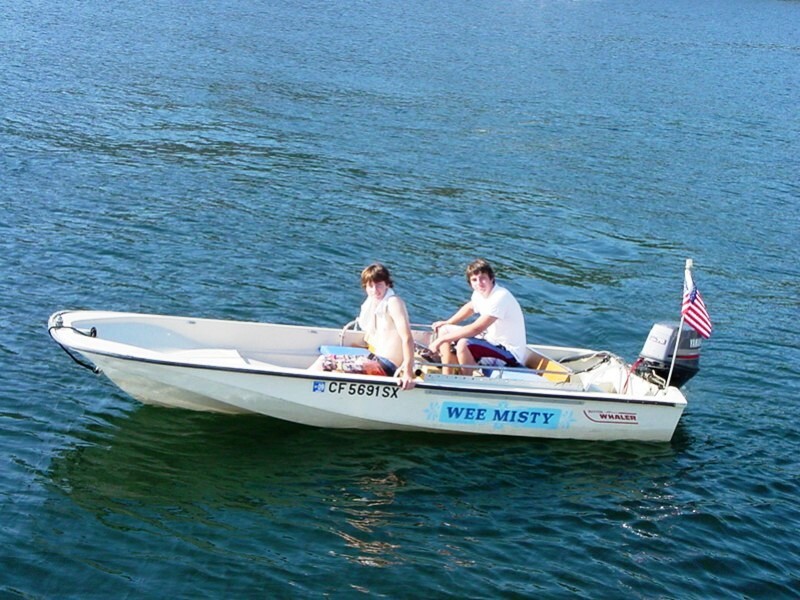 M/Y MORNING MIST has the following extras onboard: Tenders & Toys inlcude Stabilizers when underway, a 16' (6) person Boston Whaler with 70hp outboard, Water skis (adult, a kayak, two-person, a Wave Runner, two-person, a Tube, Fishing gear (4 rods. 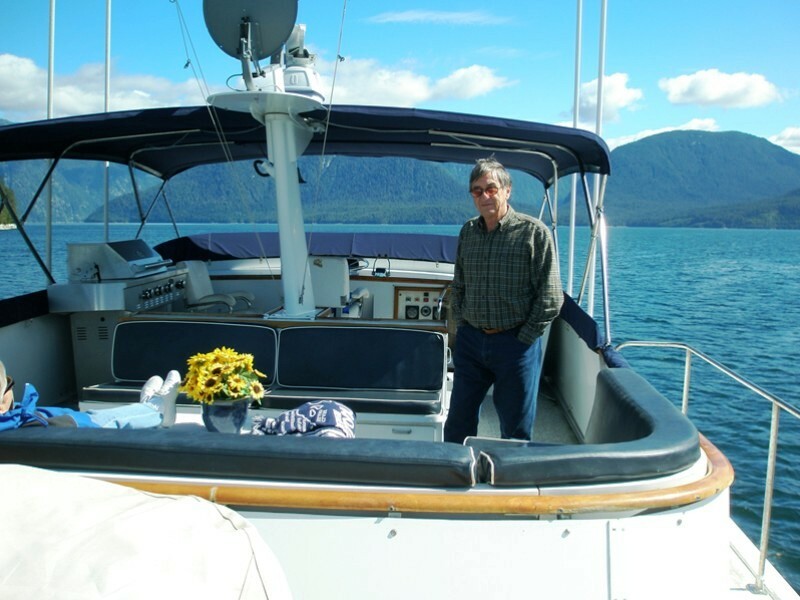 Communications onboard inlcude a GPS/Computer Navigation, Trimble Auto Pilot, Furuno Radar (72 mile, 4 VHF Radios, 2 Fathometers/speed log, 2 SSB radio telephones, Cellular phone system Audio Visual Equipment and Deck Facilities include TV/DVD/VCR, A Satellite TV channel is selected in the Main Salon, and can be watched in the Main Salon, Master Cabin and VIP cabin, CD Stereo, Sun Awning, Bimini and a - BBQ.